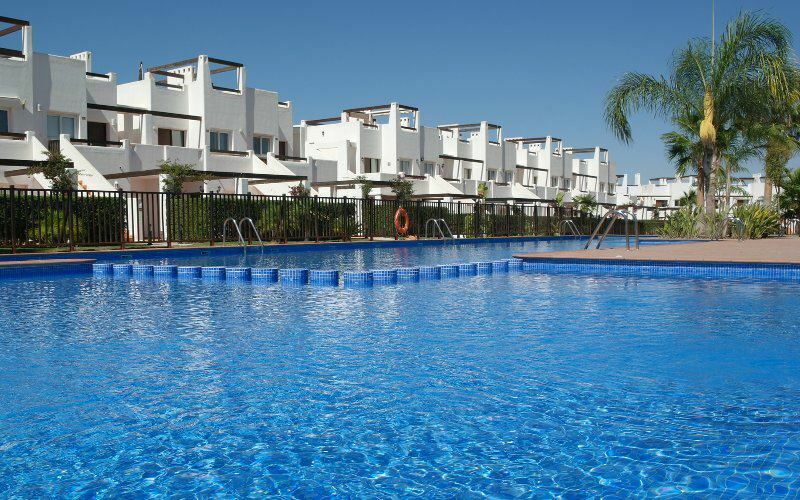 Rent Our Apartments are a group of private apartment owners, looking to rent out their apartments for short-term holiday lets in Murcia, Spain. Rent Our Apartments approached me with a completely blank slate. 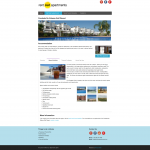 They wanted a web presence that would allow people to easily view apartment availability and make an online booking enquiry. They required a logo and branding for the both the new website and a series of printed posters and guides. 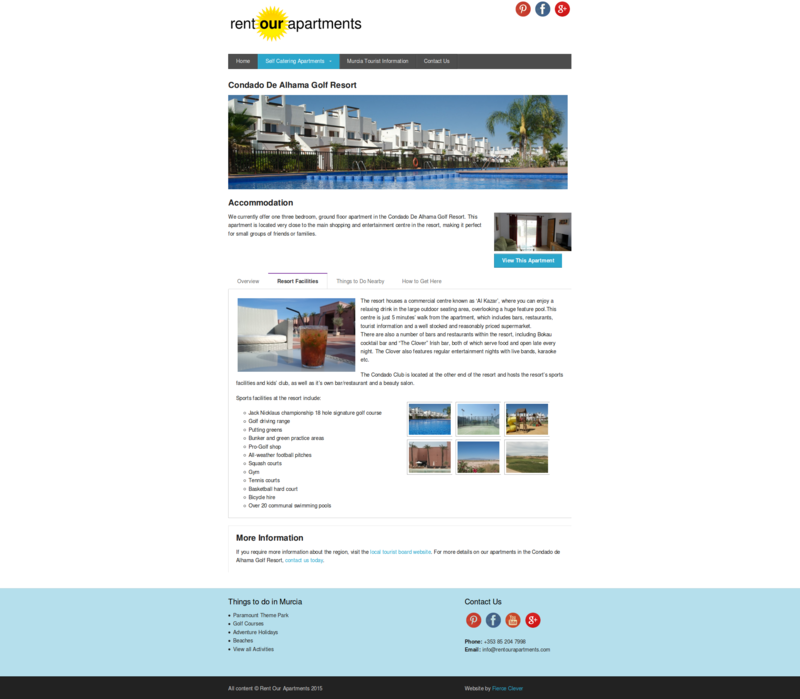 They wanted to showcase the apartments and highlight local amenities. Budget was extremely limited, particularly in relation to the ongoing costs of maintaining the website. 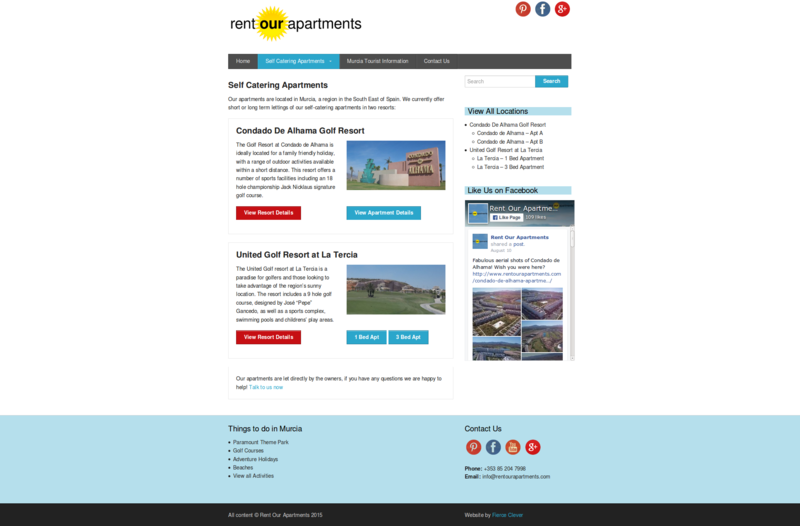 Worked with Michael and Eddie to develop a brand for the website, including a logo for the business and consistent branding elements for social media profiles, posters, printed guides and the entire Rent Our Apartments marketing effort. Created a budget-friendly website with very low operating costs, complete with booking calendar and online enquiry functionality. 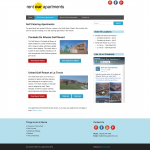 Planned a user-friendly website that could allow for future expansion and the addition of more apartments and locations. 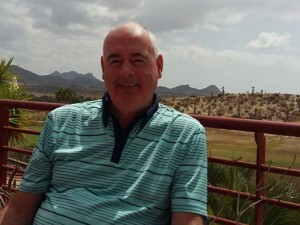 Brainstormed potential tourism and holiday marketing ideas and worked with the apartment owners on strategies for attracting bookings. 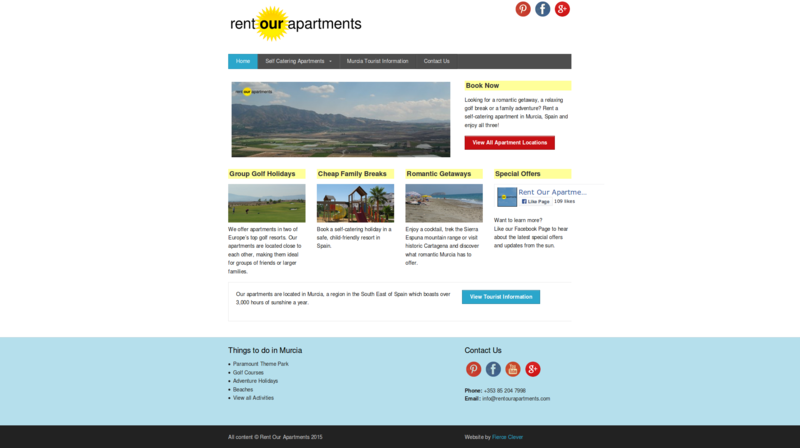 Created extensive content for the website, including photography, apartment information sections and guides to local tourist attractions. 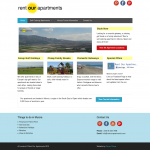 Visit the Rent Our Apartments website.